More than 200 stewards from the state and Trial Court sectors came from across Massachusetts for a day-long stewards conference in Quincy on October 23. 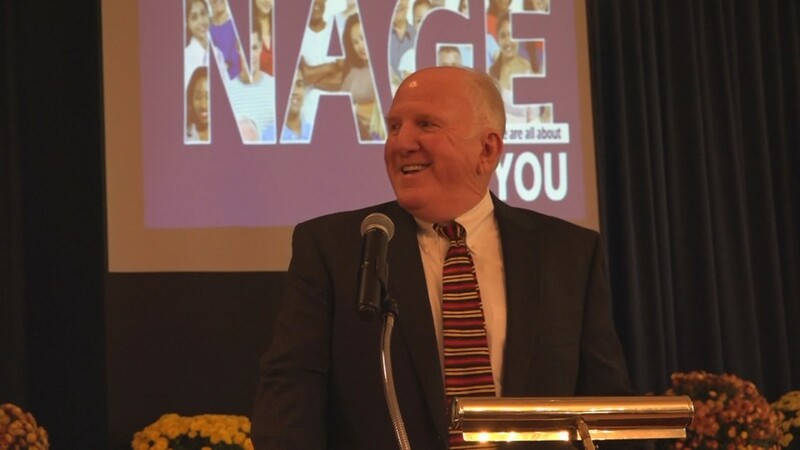 The conference featured several trainings, guest speakers, and updates from NAGE leaders and staff about the ways the union is striving to help members. Stewards also received legal updates and trainings, legislative updates on a variety of bills impacting worker safety and workplace bullying, and presentations from NAGE Charities. NAGE National President David J. Holway enjoys a lighter moment during the Massachusetts statewide stewards conference on October 23.